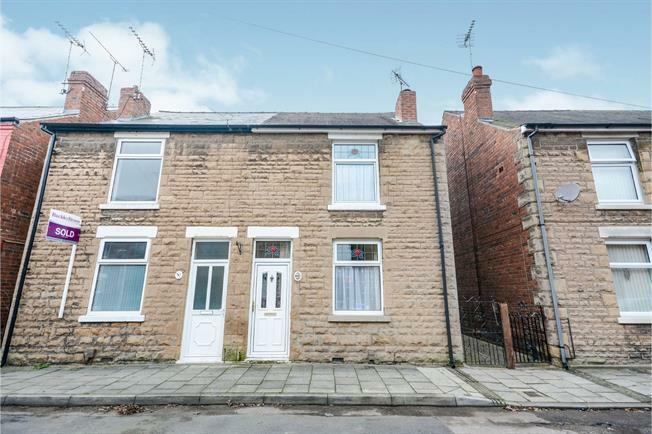 2 Bedroom Semi Detached House For Sale in Mansfield for £90,000. IDEAL FOR FAMILIES, FIRST TIME BUYERS AND INVESTORS! Bairstow Eves are thrilled to welcome to the market this stunning, deceivingly spacious two bedroom semi detached property. The property is a credit to the current owners and to appreciate the spacious accommodation, viewings are strongly recommended. The property comprises a front door leading into the large and bright living room with feature fire. To the rear of the property there is then a large dining room which opens up into the fitted kitchen with door into a rear porch area as well as access to the garden. The first floor benefits from two large double bedrooms and the modern shower room. There is also a room that is used as access to the shower room that subject to a few alterations could be made into a third bedroom. Additionally the property has gas central heating, double glazed windows throughout and an enclosed rear garden. Viewings are strongly recommended so please call the office for viewing arrangements.